There are several fairs and festivals coming up in the DC/Maryland/Virginia area, so I've put together a collection of local happenings about which I am particularly jazzed. I'd also love to hear what's going on in your town, so feel free to leave details about all of the cool festivals in your city in the comments, my fair friends. 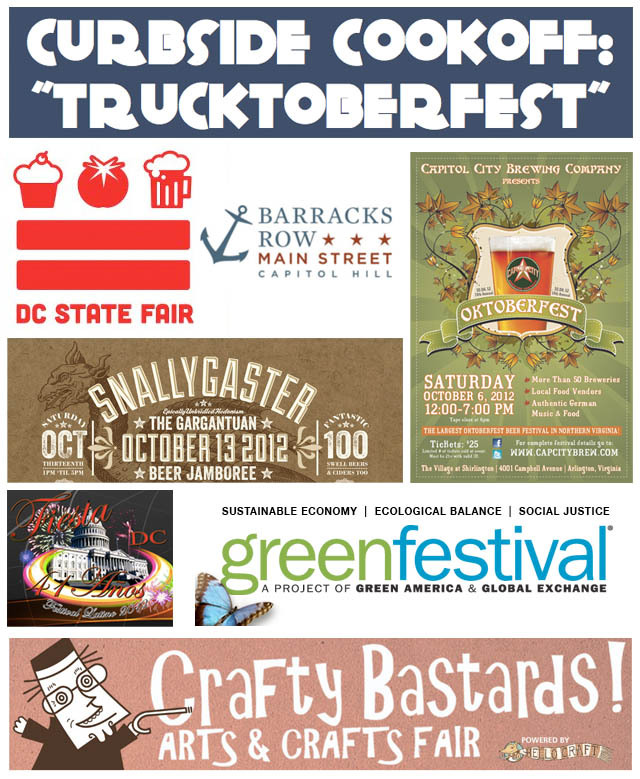 The DC State Fair teamed up with the Barracks Row Fall Festival this year, and the line-up looks awesome. With categories like Best Pie, Best Bike Accessory, and Funkiest-Looking Vegetable, this is not your average State Fair. And from what I understand, you can still enter in many categories, so calling all would-be bakers, knitters, and balcony farmers: get thee to the contest listings! I want to go to this because of the name alone, don't you? Presented by the Washington, DC Food Trucks Association, DRG and Union Market, this gathering will feature 40+ food trucks, live music, and beer. You may have noticed that it's the same day as the State Fair. My plan is to stop by for lunch/brunch before heading up to the DC State Fair-- it will be worth it to hit up both, I promise. The Latino Festival in Washington DC celebrates Latino culture with a Parade of Nations, a children’s festival, a science fair, a diplomatic pavilion for embassies and consulates, arts & crafts, and international cuisine. What can I say? I'm a sucker for parades and papusas. The green festival is all that the name implies: from green food and wine vendors (free samples, people!) to fair trade fashion to local handmade products, this festival will have it all. The line-up of speakers isn't half bad either-- Ralph Nader and Amy Goodman (Democracy Now!) will headline. There are also Green Festivals in San Francisco on November 10-11 and in Los Angeles November 17-18. Featuring local food vendors, an authentic German band and authentic Oktoberfest food, I have received confirmation there will also be plenty of local breweries participatins, so go sip some local beer! Snallygaster list of 100+ participating breweries sounds like a beer afficionado's dream. Bonus: the list (so far) includes 42 different American-brewed beers. So, if you haven't yet meandered down to see the beautiful Yard's Park waterfront area, this is the perfect excuse. Cherry on top: proceeds will benefit the Arcadia Center for Sustainable Food & Agriculture. This is one of the biggest and best craft fairs EVER. I go every year, and every year I find something new and awesome, from clothing to jewelry to home decor. 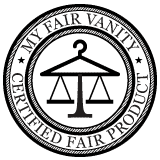 If you are a fan of Etsy or at all interested in handmade or made in the USA goods, this is one fair you will not want to miss.